Soft Enterprises is the small German software company that developed THB. Their site has been offline for several years, and so it's hard to find much info about them online. Below I have copied the "History" section of their defunct site, which explains what led to the development of THB and what happened afterwards. The story begins in 1991. Klaus Stenzel and Björn Heußner decided to create an action game with the name "Rizor" on the Amiga. Around the same time, Martin Hoffesommer and Nicolai Beganer developed a graphic adventure on the PC. Through former common "activities" on the C64 (which we will avoid explaining further *grin*) they finally met and decided to unite in order to share know-how and programming techniques. Furthermore we needed a game/art designer, which we found in Adrian Maleska. So we continued developing our projects, but never really got anything finished. We considered this project the right one to help us gain some initial experience in the gaming industry. All said and done, we aimed at breaking all records in the puzzle game genre. With 500 levels ranging from piss easy to nigh impossible, by all rights we should succeed. 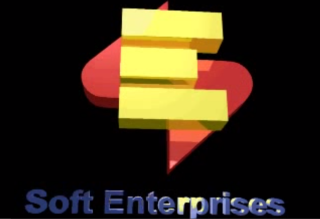 But before we could sell the game we had to start a company... so in Spring 1992 Soft Enterprises was born. BRAIN ARTIFICE was released in May 1992 by Bomico. In summer '92 Yvonne Rinnert joined the management which by then consisted of Martin Hoffesommer, Björn Heußner, Klaus Stenzel and Nicolai Beganer. During that summer we were looking for a publisher interested in funding our next products and we thought we'd found this company in a swiss firm called "Linel". After some meetings in Switzerland we agreed on a contract and signed it. So, after BRAIN ARTIFICE we again started work on several projects simultaneously. We started with RIZOR (Amiga), TRASH PATROL (Amiga) and FEDERATION OF JUSTICE (PC). Klaus Stenzel (Programming), Adrian Maleska (Graphics) and Andreas Raubert (Music) were working on RIZOR, which was a side-scrolling shoot-em-up that looked quite promising. Working on TRASH PATROL were Michael Kolkau (Graphics) - who had joined our little company by then -, Björn Heußner (Graphics) and Andreas Raubert (Music). Since we had to wait for somebody to do the programming, we started working on the concept and the initial design. FEDERATION OF JUSTICE was being developed by Martin Hoffesommer (Programming), Nicolai Beganer (Graphics), Yvonne Rinnert (Graphics) and Andreas Dehmel (Level design). Having looked at the totally new graphics routines from Martin Hoffesommer we decided to revolutionize the 3D market which, back then, had been dominated by "Wolfenstein". So everybody agreed to start THE HIDDEN BELOW. Initially having planned to develop the game in six months, in reality it took over 15 months. So THE HIDDEN BELOW was released after "Doom" and other "Wolfenstein"-clones. Meanwhile Soft Enterprises left "Linel" and signed a new contract with "Kingsoft" who published THE HIDDEN BELOW. The game didn't become as successful as we would have hoped.